The maker of the Leaf electric vehicle, X-Trail sport utility vehicle and Infiniti luxury models cut its profit forecast for the fiscal year through March to 410 billion yen ($3.7 billion), down 45 per cent on-year. The logo of Nissan Motor Co.is seen at its show room behind a traffic sign in Tokyo, Japan, February 12, 2019. Cooling sales and profit are intensifying the pressures on Chief Executive Officer Hiroto Saikawa, who is trying to ease tensions with partner and shareholder Renault SA following Ghosn's arrest. 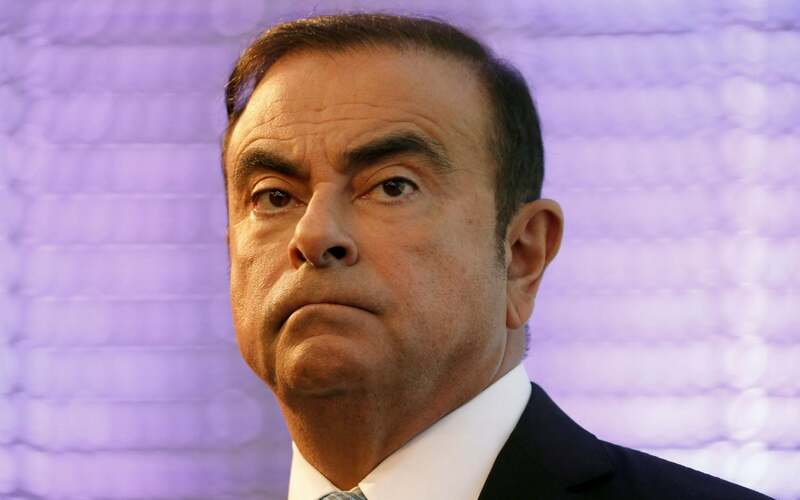 The charge Nissan took could potentially bolster the case for Japanese prosecutors against the industry titan, who was arrested on November 19 and has been in jail since. So far the French vehicle giant has said its internal probe into its former boss has found his pay was in compliance with French law. Saikawa said Tuesday the alliance may need to revisit the targets it has set for 2022 - a set of goals given in 2017 that call for synergies and increased annual vehicle sales. Nissan's Germany-traded shares fell as much as 6.8 percent before recovering, while Renault declined as much as 1.9 percent in Paris. The previous projection was for a 500 billion yen (4.5 billion) profit.